Don't Believe These 5 Myths About Encryption! Don’t Believe These 5 Myths About Encryption! You’ve probably heard a bit about encryption, but it sounds like something too complex, too specialist, to consider using yourself. But encryption is simply a means of scrambling your data into seemingly-random characters, called ciphertext, which can only be unscrambled into meaningful information when an authorized user enters the correct decryption key. The key is just a passphrase, password, or PIN Why Passphrases Are Still Better than Passwords & Fingerprints Why Passphrases Are Still Better than Passwords & Fingerprints Remember when passwords didn't have to be complicated? When PINs were easy to remember? Those days are gone, and cybercrime risks mean fingerprint scanners are next to useless. It's time to start using passcodes... Read More . It’s a lot more straightforward than most think. Nonetheless, you might feel a little too in-the-dark to make use of encryption, so let’s bust some encryption myths! The root of this myth likely stems from the idea that only international organisations are worth targeting, but that’s simply not true. If it were, there’d be little need for security suites protecting your own PCs. Your data, even the basic information, is worth stealing Here's How Much Your Identity Could Be Worth on the Dark Web Here's How Much Your Identity Could Be Worth on the Dark Web It's uncomfortable to think of yourself as a commodity, but all of your personal details, from name and address to bank account details, are worth something to online criminals. How much are you worth? Read More because it can all be sold on by scammers. Breaching your home security is one way to achieve identity theft. In order to keep your personal information private, it needs to be scrambled. Data you enter online is even encrypted (on sites using HTTPS What Is HTTPS & How To Enable Secure Connections Per Default What Is HTTPS & How To Enable Secure Connections Per Default Security concerns are spreading far and wide and have reached the forefront of most everybody's mind. Terms like antivirus or firewall are no longer strange vocabulary and are not only understood, but also used by... Read More , at least) and ensured using SSL/TSL certificates How Web Browsing Is Becoming Even More Secure How Web Browsing Is Becoming Even More Secure We have SSL certificates to thank for our security and privacy. But recent breaches and flaws may have dented your trust in the cryptographic protocol. Fortunately, SSL is adapting, being upgraded - here's how. Read More . Actually, encryption is used more often than you think. As of last year, Apple claims to have sold 700 million iPhones, with an estimated 101 million users in the USA alone. And if those people are security-conscious, they’ll have activated passcode locks. That’s a form of encryption because if an unauthorized user tried to scroll through their contacts, peruse their photos, or traverse Twitter, they wouldn’t be able to without the correct passcode. That’s just one example (another is WhatsApp WhatsApp Encryption: It's Now the Most Secure Instant Messenger (Or is it?) WhatsApp Encryption: It's Now the Most Secure Instant Messenger (Or is it?) 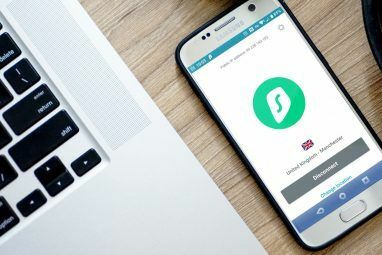 Since being acquired by Facebook, WhatsApp has been forced to clean up its approach to security and privacy, which resulted in the news last year that it has introduced new encryption measures. Read More , the instant messenger that uses end-to-end encryption Why WhatsApp's End-to-End Encryption Is a Big Deal Why WhatsApp's End-to-End Encryption Is a Big Deal WhatsApp recently announced that they would be enabling end-to-end encryption in their service. But what does this mean for you? Here's what you need to know about WhatsApp encryption. Read More ), but serves to prove that it’s not only Google and co. that secures data behind an encryption key. Admittedly, difficulties vary depending on the mobile OS, but not that greatly. Windows 10 Mobile just requires you to go on Settings > System > Device encryption. Since Android Lollipop 8 Ways Upgrading to Android Lollipop Makes Your Phone More Secure 8 Ways Upgrading to Android Lollipop Makes Your Phone More Secure Our smartphones are full of sensitive information, so how can we keep ourselves safe? With Android Lollipop, which packs a big punch in the security arena, bringing in features that improve security across the board. Read More , encryption comes as default (unless you’re getting a low-end model). Smartphone manufacturers have realized the need for this added layer of security. But it’s pretty simple on PCs and laptops as well. Device encryption was first introduced for Windows 8.1, and any PCs with Windows 10 are supposed to use it as default — on the condition that you sign in using a Microsoft account. To check whether you’re using encryption (and to enable it), go on Settings > System > About. 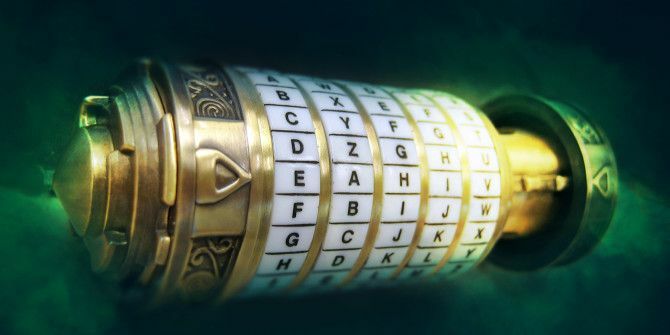 If the device encryption option isn’t there, you won’t be able to protect your files without something like BitLocker or these alternatives TrueCrypt Is Dead: 4 Disk Encryption Alternatives For Windows TrueCrypt Is Dead: 4 Disk Encryption Alternatives For Windows TrueCrypt is no more, but fortunately there are other useful encryption programs. While they may not be exact replacements, they should suit your needs. Read More — some of which also apply to Macs What Is Mac OS X FileVault & How Do I Use It? What Is Mac OS X FileVault & How Do I Use It? Only by manually encrypting the files on your hard drive can you truly keep your files safe. That's where the Mac OS X FileVault comes in. Read More and Linux. Explore other routes for protecting your data How to Hide & Protect Your Data in Windows How to Hide & Protect Your Data in Windows Nothing is private, unless you make it so. You can just hide your data from plain view, or you can apply passwords or encryption techniques for more serious protection. Let us show you how. Read More , sure, but don’t be put off encryption: it’ll be worth it in the long run! The level of control you can have over encryption is astonishing too. You can actually encrypt individual files. How? On Windows, you right click on a file or folder and go Properties > Advanced > Encrypt contents to secure data; when you close the Advanced tab, click Apply. Linux makes it quite easy to encrypt personal information How To Encrypt Your Home Folder After Ubuntu Installation [Linux] How To Encrypt Your Home Folder After Ubuntu Installation [Linux] Imagine this: it's a great day, you're busy working on your computer at some event, and everything seems fine. After a while you get tired and decide to get something to eat and shut down... Read More (and if you’re au fait with open-source software, it’s unlikely you’d be put off the hassle of encryption anyway)… but make sure you know the downsides of it 4 Reasons Why You Shouldn't Encrypt Your Linux Partitions 4 Reasons Why You Shouldn't Encrypt Your Linux Partitions Popular Linux distributions make it pretty easy to encrypt your home folder or even entire partitions if you'd like, without many issues. This is a great option to have if you're someone who needs their... Read More . 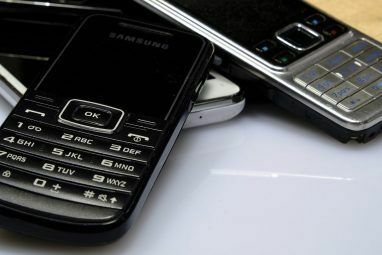 Selling your mobile How to Get the Most Cash From Selling Your Old Smartphone How to Get the Most Cash From Selling Your Old Smartphone Selling your old smartphone is a great way to raise funds. That is, as long as you do it right Read More , device, or laptop using an online auction site Fed Up With eBay? Here Are Some Worthy (And Cheaper) Alternatives For Sellers Fed Up With eBay? Here Are Some Worthy (And Cheaper) Alternatives For Sellers When you want to sell your excess junk online, where do you go? For most people, the one and only answer is eBay. With millions of daily users, it only seems logical to use the... Read More ? You can fetch big bucks for your old hardware, getting a vital boost to your bank balance by sacrificing something you don’t even use anymore. But if thieves got hold of your items Five Ways a Thief Can Profit From Your Stolen Hardware Five Ways a Thief Can Profit From Your Stolen Hardware Criminals steal your PC, your laptop, your smartphone, either by burglarising your house, or by snatching them from you. But then what happens? What can thieves do with your stolen tech? Read More , they can glean a lot about you. This is a problem if you’re recycling your hardware Beware These 8 Security Issues When Recycling Hardware Beware These 8 Security Issues When Recycling Hardware Recycling old hardware is a good idea, but you don't want to give away personal data. Consider these security concerns before getting rid of your hardware, and see what you can do about them. Read More too. Likely perpetuated by the Factory Resets on smartphones, most people think these will wipe your device completely clean. You’re passing on a clean slate, right? Not at all. 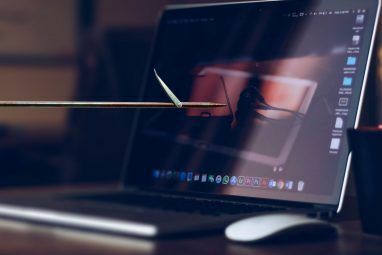 While in most cases, the eventual recipient of your hardware won’t have the abilities or inclination to restore data about you, a determined criminal generally can. If you do plan on getting rid of a device, either encrypt all its data then do a Factory Reset, or destroy it completely. Take a hammer to it or burn it. The exception is the Factory Reset option on iPhones: that really does wipe the slate clean. This is true in rare cases, but for the most part, you don’t need to worry about performance lag. It’ll be negligible, and for the most part, unnoticeable. The reason this myth does the rounds is because your PC or smartphone has to decrypt all its contents before you get access to its databases. It stands to reason that it’ll take a while. Can you be bothered to wait each time you try to get onto your files? Fortunately, manufacturers know their audience expects this level of security and that many would be put off if it’s at the expense of functionality. If your device is pretty new, you shouldn’t have a problem with performance. Just think of how quickly an iPhone starts up after a passcode is entered. Barely any time at all. Disk-level encryption generally impacts performance less than application-level; even then, drives with medium- to high-end processors support Intel Advanced Encryption Standard New Instructions (AES-NI), which is designed to improve the speed of applications using encryption keys. Some people claim that encryption speeds things up! There are, of course, exceptions. Aged PCs won’t be able to cope that quickly, but if they’re that old, the system in general will be slower than recent versions regardless. Don’t get me wrong: encryption is a great way of protecting your private information, but it’s not fool-proof. Nothing ever is. Encryption is just a great start. Encryption is only as good as your password. Recently, we’ve heard a lot about data breaches: the so-called Celebgate How A "Minor" Data Breach Made Headline News & Ruined Reputations How A "Minor" Data Breach Made Headline News & Ruined Reputations Read More was one of the most high-profile leaks, but further notable password breaches have happened in just the past couple of months, including 32 million Twitter How to Check If Your Twitter Password Has Leaked & What to Do Next How to Check If Your Twitter Password Has Leaked & What to Do Next Apparently over 32 million Twitter accounts and passwords have been leaked, according to TechCrunch. Learn how to see if your account is affected, and secure your account before it's too late. Read More accounts, 42 million Gmail credentials Is Your Gmail Account Among 42 Million Leaked Credentials? Is Your Gmail Account Among 42 Million Leaked Credentials? Read More , and 360 million emails and passwords from MySpace Facebook Tracks Everybody, MySpace Got Hacked... [Tech News Digest] Facebook Tracks Everybody, MySpace Got Hacked... [Tech News Digest] Facebook is tracking everybody across the Web, millions of MySpace credentials are up for sale, Amazon brings Alexa to your browser, No Man's Sky suffers a delay, and Pong Project takes shape. Read More . That’s an astonishing amount of hacks. Encryption keys aren’t unbreakable. iPhones were purported to be the most secure mobile OS What Is The Most Secure Mobile Operating System? What Is The Most Secure Mobile Operating System? Battling for the title of Most Secure Mobile OS, we have: Android, BlackBerry, Ubuntu, Windows Phone, and iOS. Which operating system is the best at holding its own against online attacks? Read More , mostly thanks to their supposedly-impregnable encryption; if you don’t want anyone getting in, you set up a passcode and not even Apple can get into it. But earlier this year, that was proved false when a hacker, paid by the CIA, got into the smartphone of an alleged terrorist. So you have to take basic security precautions Change Your Bad Habits & Your Data Will Be More Secure Change Your Bad Habits & Your Data Will Be More Secure Read More aside from encryption: create strong passwords 6 Tips For Creating An Unbreakable Password That You Can Remember 6 Tips For Creating An Unbreakable Password That You Can Remember If your passwords are not unique and unbreakable, you might as well open the front door and invite the robbers in for lunch. Read More at least, and keep them safe Password Leaks Are Happening Now: Here's How to Protect Yourself Password Leaks Are Happening Now: Here's How to Protect Yourself Password leaks happen all the time, and there's a chance one of your accounts will be involved, if it hasn't happened already. So what can you do to keep your accounts safe? Read More . Definitely. It’s certainly not absolute, but it’s a simple and, in the majority of cases, effective way of keeping your personal information private. Do you encrypt your devices or is something putting you off? Let us know in the comments below. Image Credits: Cryptex: The New Code by Rex Roof via Flickr, National Cryptologic Museum by Ryan Somma; and recuperer smartphone android by downloadsource.fr. Explore more about: Computer Security, Encryption, Online Security, Smartphone Security. How to Handle a Copyright Infringement Notice From Your ISPDid You Treat Yourself To Pokémon Go Malware? "but it's not fool-proof. Nothing ever is"